UhOh! Ok, it was a way worse word that came to mind, I forgot to put on my patch! I'm happily excited that I actually got through my morning routine without thinking of or feeling a need for, a cigarette. That's cool, especially since my urges were so intense yesterday. I'm very nervous about my emotions today. I am so unsure of my ability to do this. What if I freak out? Can I do this without my crutch? How strong am I? More importantly, how weak am I? Worst case scenario, I walk to a drug store at lunch and by whatever NRT they have. With that realization I feel empowered and challenged. Maybe I can do this.... I think I can do this...I have to try to do this. I am not positive I can go without nicotine yet but I am going to try! You remind me of me . I coasted the first 4 days, then had a terrible crave-filled day 5. Then I coasted again until day 21 with craves like crazy. That was really maddening because I thought I had beat it by then. Silly me. Sounds like you have a good plan. I'm guessing you won't need the NRT, but nice to know it's just down the street if necessary. Thank you for the vote of confidence! I need all of that I can get! I think I can, I think I can! If you forgot the patch, you do not need it anymore. Just focus on something else. I'm on edge. I know it is a combination of both my mind and body. I am shivering a bit. I feel a little sick and very, very irritable. Your body goes through so many changes when you quit. It all works out for the best though. Wait til you see how much money you save from not smoking, no NRT's, etc. Try taking 10 deep breathes - see if that does not calm you down a little. If it does, focus on your breathing. When you meditate, you are supposed to focus on your breathing. Try doing that. It will definitely help to get your mind to relax. All normal reactions. Irish is right. Deep breathing can help. As does some quick brisk exercise if you are able. Hang in there and keep telling yourself "I don't do that anymore!" You are almost through what's known as Hell week. You've got this, glad there is a drug store near by if you need to go get NRT. I am having a tough time today too. We know we want this. Keep it going!! I will too. Dale would tell you "don't talk yourself into smoking". Think how great you are doing with no other help but your beautiful mind. Deep breath through the craves, that helped me all the time, still does today after almost 1000 DOF. Take a walk outside, call a friend, come back and read the responses and comments. The cravings will die, and you will be emerging an EX! 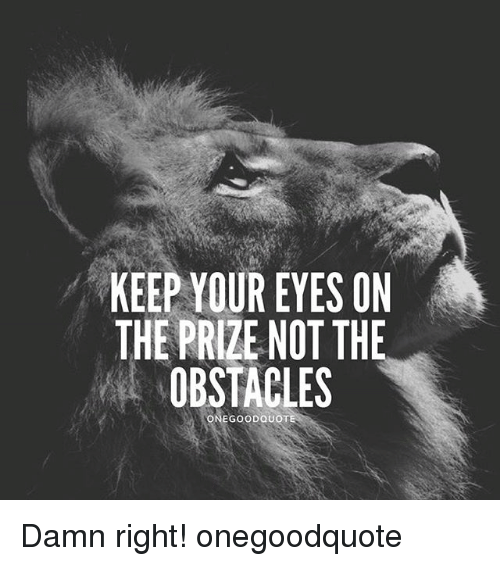 You are doing great, you are stronger than the addiction, keep your eyes on the prize! I have to do the deep breathing thing 10 times to keep from ripping peoples' heads off who annoy me. hahahahaha It works; it really does. I am assuming by now you know that you can make it through or have already. That happened to me my 2nd day of quitting. I too panicked for a moment, wondering if the cravings were going to hit me like a freight train..... They didn't. I believe the patches really help me. But more than anything it was the fact that I had made up my mind to really do it this time. Put on the patch when you get home, or don't, you will know what is right for you. Just do whatever you need to, to keep up your quit! My withdrawal hit pretty intensely but I still didn't light up or even want to. It was my body, maybe hormonal. I was definitely feeling very unbalanced. I put my patch on, took a nap and work up feeling normal. Think of yourself as the little engine that could..."I think I can, I think I can, I think I can." You've GOT this, if you need to put on a different patch or chew some nicotine gum, so be it. Just don't smoke, you do not want to go backwards. I bet you're home now and made it through your work day just fine, am I right?! Enquiring minds & stuff, lol! I made it home and I did make it without smoking! I hate that I need this patch but I will use and wean myself as slowly as my body and mind need. Regardless, I have not desire to light a cigarette. Absolutely zero! Good job Stacy! I knew you could do it! Hi Ellen, yes, I am ok. I apologize for disappearing! I actually left work early Friday afternoon because I was in a horrible state. I didn't recognize myself at some point. It came on slowly but I turned into a delusional crazy woman. Tearful one minute and ready to scream the next. The scariest emotional roller coaster I have ever been on. But, I made it! I did not smoke! When I got home I put a patch on and took a nap. I woke feeling normal. I had a dinner date with my bestie that night and then spent the weekend running around with my Mom, kids and granddaughter. I am so sorry for not updating sooner! I am really proud of you, just LOOK at what you have done. AMAZING! You got through without a patch and without smoking and you know now that you CAN! Thank you! Now to break the addiction to nicotine! Remember...it IS doable....one day at a time. You can't speed it up no matter how hard you try but it does get easier. We are here to help you and we have all been where you are. Glad you're doing ok Stacy.